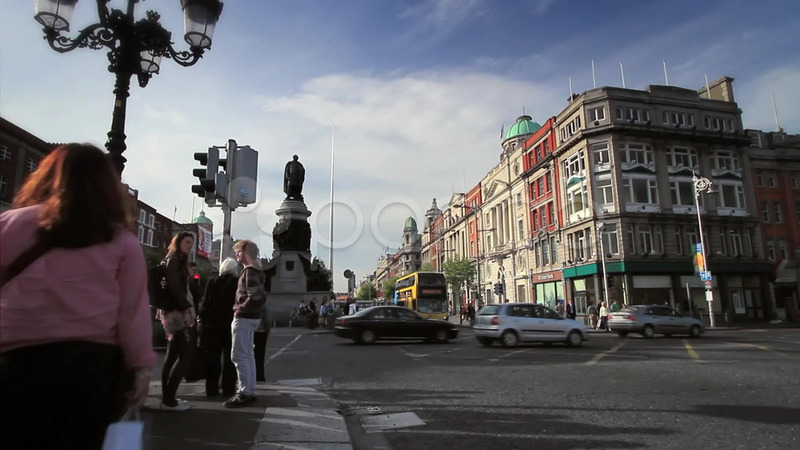 Timelapse of traffic in O'Connell Street (Sráid Uí Chonaill in Irish), which is the main thoroughfare of Dublin. The statue of the nationalist leader, Daniel O'Connell, can be seen mid-shot. This street is the main route of the St Patrick's Day Parade and has been the site of many events in Irish history.